Here are silhouettes of women of all types walking along, some slowly, some briskly. This silhouette shows a young woman dressed in shorts and a scarf around her neck and a bag casually slung over her shoulder. The silhouette is of her back as she walks in high heels or stilettos. 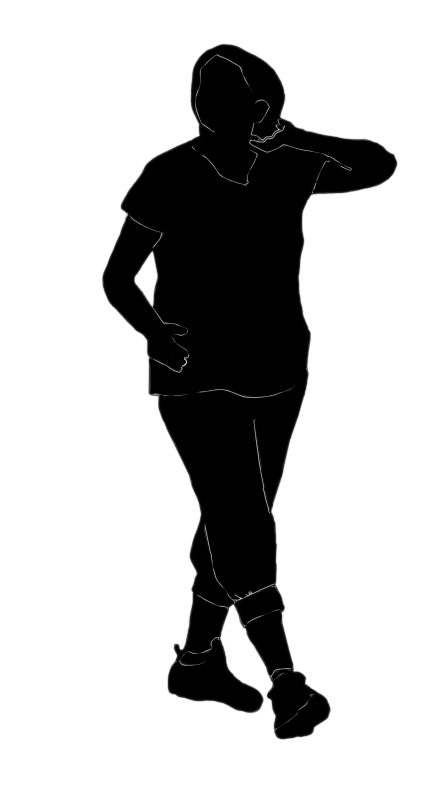 Here is a silhouette of an Asian teenager in shorts and T-shirt. Another teenager silhouette. Young thin woman with dark goggles or glasses on her face and shoulder length hair. The girl is wearing casual clothes, a T-shirt and jeans. The silhouette of the back of a young Caucasian woman with short hair walking in casual clothes. She is wearing a sleeveless T-shirt and pants, with a scarf. 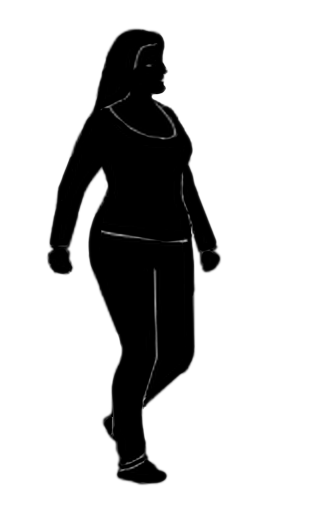 The silhouette of a young curvaceous or full bodied woman or well built woman walking. She has long hair and is dressed in casual clothes. She has a full figure. 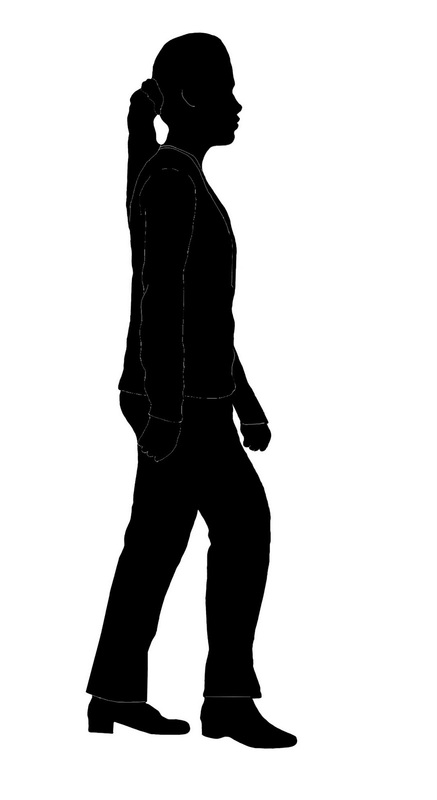 The silhouette of a young walker wearing pants and shirt and keds or sports shoes. The silhouette of a young African woman walking briskly with a small purse. She is dressed in trousers and a jacket, her hair in a pony-tail. A silhouette of a woman dressed in a pant suit and her hair in a pony-tail. She is wearing formal shoes. Or click the label "Silhouettes" for all types of silhouettes including those of monuments and places and people.